DIAL FOR DETAILS (360-490-0426) on this Beautiful Condominium Project to be built. 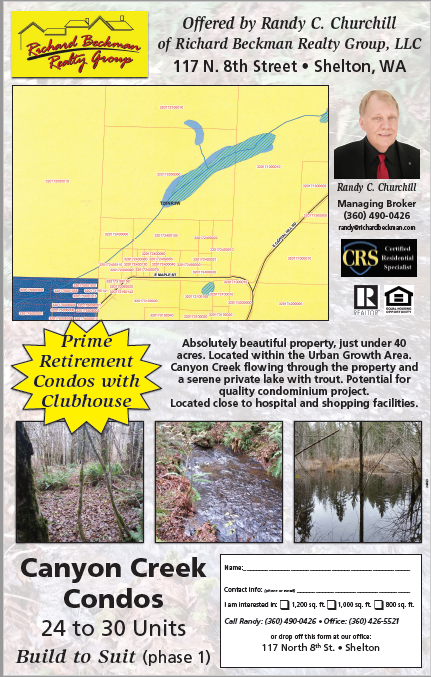 Complete with a community clubhouse, a private lake with fish, and acres of wooded trails. Located in a convenient location close to Hospital and Walmart shopping. Contact Randy for your letter of interest and choosing your interior design.